I had a run up to the Peak District today and it was fabulous. I'm too tired to write much about it but I thought I'd take the opportunity to post a picture of my Z750 basking in the Derbyshire Dales sunshine. I'll try and put some of the other pictures up in a gallery at some point. That's a nice bike, man. Certainly much cooler than my friend's bike. Manufactured by the same company, I think. Ooooh, Kwaka. :D And ROFLOL at Josh's offering. 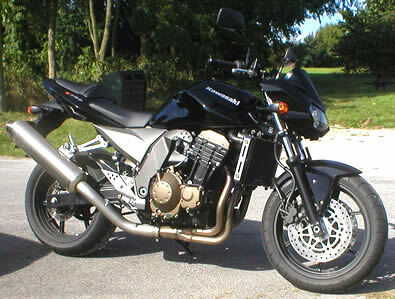 I have z750 too ;) and it's also black ;) great bike!